General Motors Canada will add some additional downtime to a pair of Ontario plants as it grapples with balancing supply and demand through the summer months. 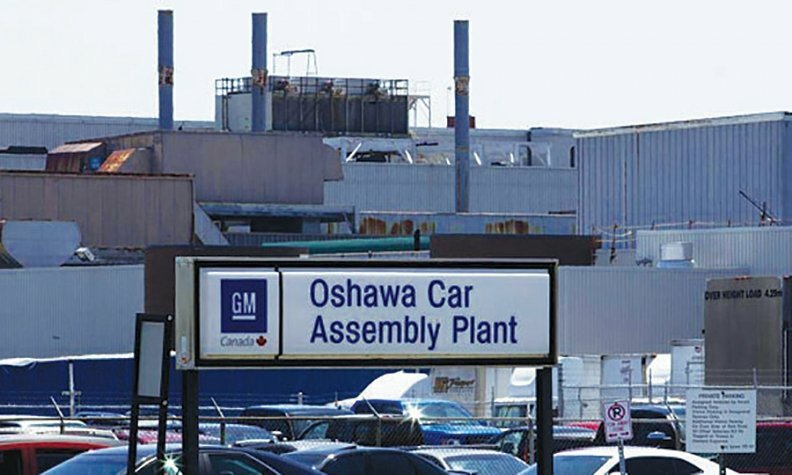 “In keeping with GM’s strategy to evaluate market demand and adjust production schedules accordingly, Oshawa Assembly flex line employees and St. Catharines HFV6 line were advised of some additional down weeks,” company spokeswoman Jennifer Wright said in an email to Automotive News Canada. Wright would not say how many days or weeks were added to the traditional two-week summer shutdown at those two facilities. “We do not comment on the specifics of our production schedules which are subject to change,” she said. The regularly-scheduled summer shutdown for Oshawa, St. Catharines and the company’s CAMI plant in Ingersoll, Ont., were to be the weeks of July 17 and July 24. Only CAMI, which builds only the Chevrolet Equinox now, remains on that schedule. Oshawa currently builds the Cadillac XTS, Chevrolet Impala and overflow units of the Chevrolet Equinox, although production of that vehicle in Oshawa is scheduled to end later this summer. Equinox production at Oshawa will be replaced by production of the GMC Sierra and Chevrolet Silverado, according to Unifor Local 222, which represents workers there. Truck production in Oshawa is expected to lead to a second shift in the second quarter of 2018, the union said. General Motors hasn’t released a detailed plan, although GM Canada President Steve Carlisle said that speaking generally, that “a truck” is coming to Oshawa. The V-6 engine built in St. Catharines powers the Chevrolet Camaro, Impala, Traverse and Equinox; the GMC Terrain and Acadia; the Buick Enclave and the Cadillac CTS. On Monday, GM confirmed it will cut the overnight shift at its Chevrolet Malibu factory in Kansas City, Kan., in late September. That follows shift reductions at three plants in Michigan and one in Ohio since January.